Mauds Ice Cream picked up a Great Taste Award at thsi Year's Event. Producers from Mid and East Antrim have pulled off a stellar performance at the Great Taste Awards clinching 25 stars. 7 producers from the area bagged accolades in the UK and Ireland wide awards, the most sought after in the industry. Great Taste, organised by the Guild of Fine Food, is the acknowledged benchmark for fine food and drink. It has been described as the ‘Oscars’ of the food world and the ‘epicurean equivalent of the Booker prize’. The Great Taste logo is the sign you can trust when buying food and drink in your local, quality retailer. 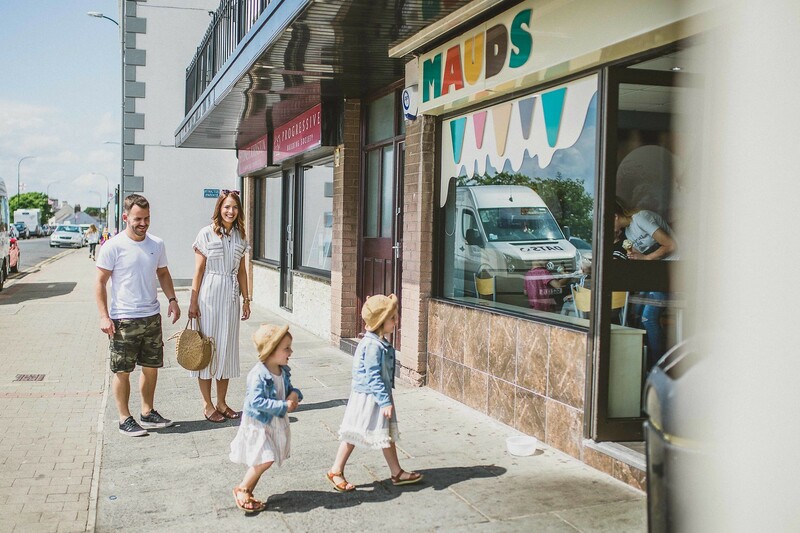 Mauds Ice Cream, Hillstown Farm Shop, Ann’s Pantry, Gracehill Fine Foods, Glenarm Salmon and Seasugar Handmade Confectionery and Glenarm Shorthorn Steak were awarded gongs for outstanding produce. Many of the businesses are part of Mid and East Antrim Borough Council’s Food Network initiative which sees training and networking between the agri-food sector to promote the area as a destination and boost business. Mayor of Mid and East Antrim, Cllr Lindsay Millar said: “This is a real boost for the area and testament to just how many fantastic local producers we have here in the borough. I am so pleased for each business as their hard work and dedication cannot be underestimated to get them to this point. Congratulations to each and every one of you, you deserve it! Since 1994, more than 120,000 products have been put through this robust judging process. Each one is fastidiously blind-tasted by selected chefs, buyers, fine food retailers, restaurateurs, food critics and writers over 60 judging days.